Transformative technology that unlocks creativity. Our flexible building-block technology and iCON™ intelligent control architecture makes customisation easy and cost-effective. All our standard systems can be fully customised. From adding a useful tool or sensor, to attaching a skid to extend the range of options, to completely transforming a core vehicle into a unique solution, we work with our customers to create potent solutions for a multiplicity of tasks across widely different industry sectors. The flexibility of our system architecture inspires inventiveness — and our building block technology and renowned expertise powers solutions. 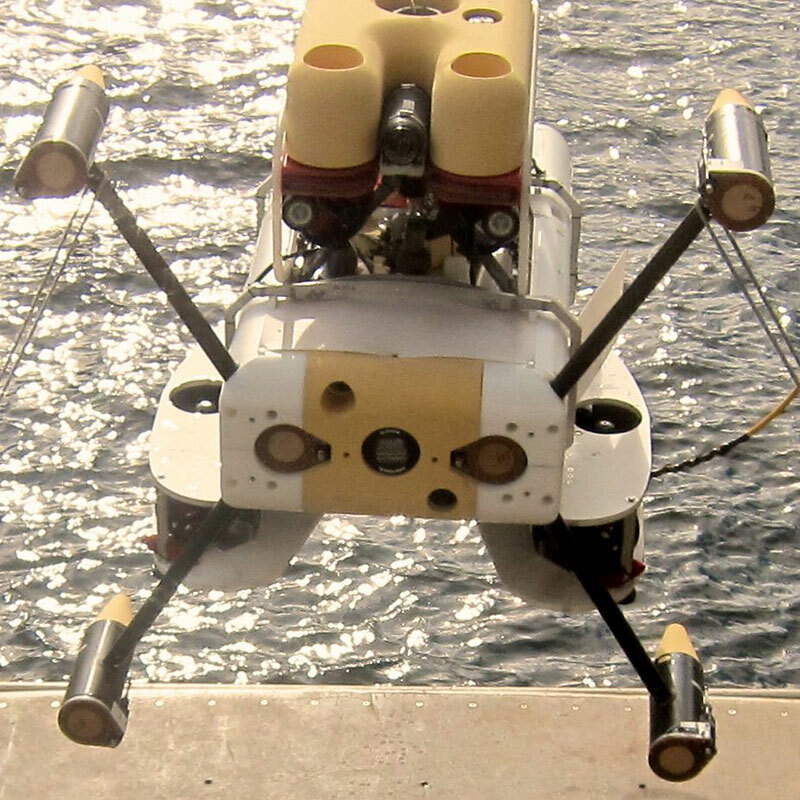 Innovatum fitted their six-metre wide gradiometer array and a wide range of other equipment to their small-sized Cougar XT Compact ready for detecting unexploded ordnance at renewable energy sites where tidal waters run strong. The University of Washington transformed their Falcon into a unique and cost-effective research package as a “first step towards a toward a standardised 'science port' for marine energy projects”. 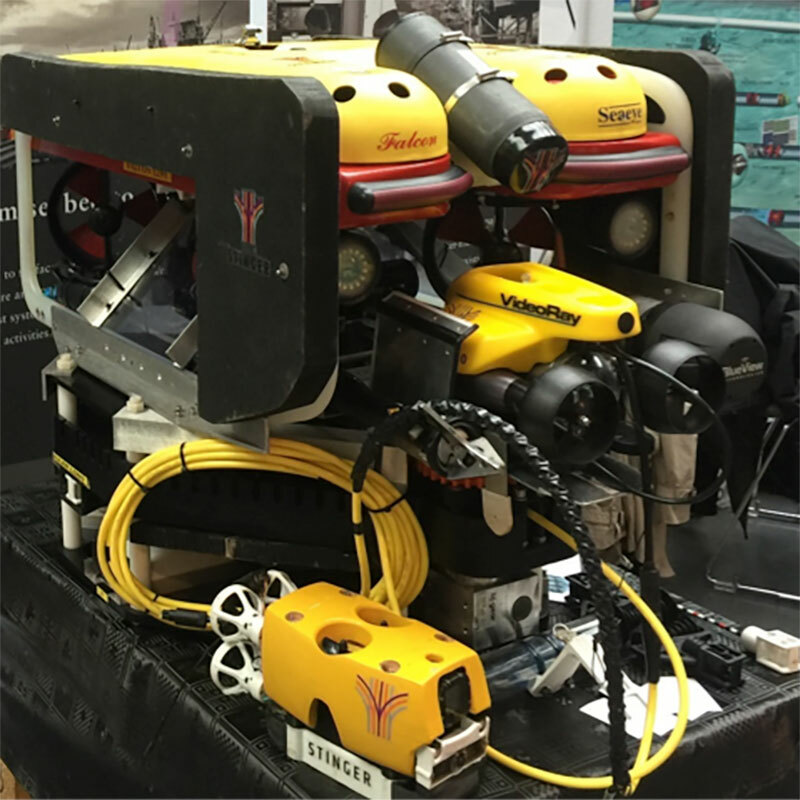 Stinger Technology converted their Falcon into a mothership from which to launch two mini ROVs for deep survey of a complex labyrinth of sections in an offshore tank in preparation for decommissioning.